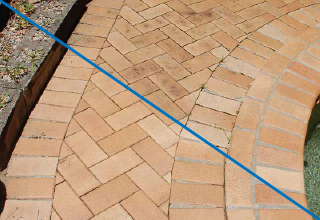 High Pressure Cleaning Driveways and Paths, House Exteriors, Walls and Fences, Decks and Patios, Body Corporate, Commercial Buildings and more. Aqua Attack High Pressure Cleaning services offer FREE no obligation quotes, detailing how we can help you, and how much it will cost. 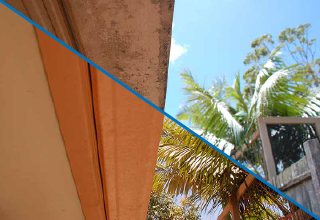 Transform your property with high pressure water cleaning services by Aqua Attack. We can breathe new life into driveways, dull paintwork, concrete, brick, rendered walls and more. 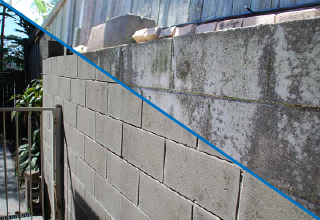 Aqua Attack will revitalise your residential property with a range of water pressure cleaning, including paths, driveways, walls and fences. 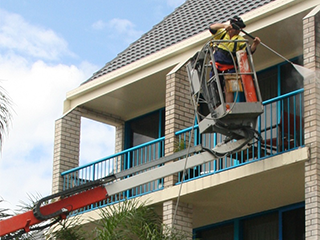 Helping Body Corporates protect the safety of their residents by cleaning slippery and mouldy areas, also improving the appearance and value of the property. 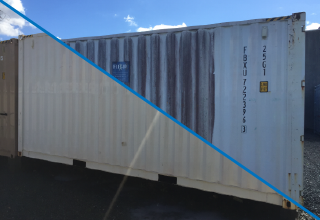 Aqua Attack can maintain the presentation of your commercial premises and offer weekend and after hours service for your convenience. No job too big or small, from residential driveways to the Crowne Plaza Resort driveway! 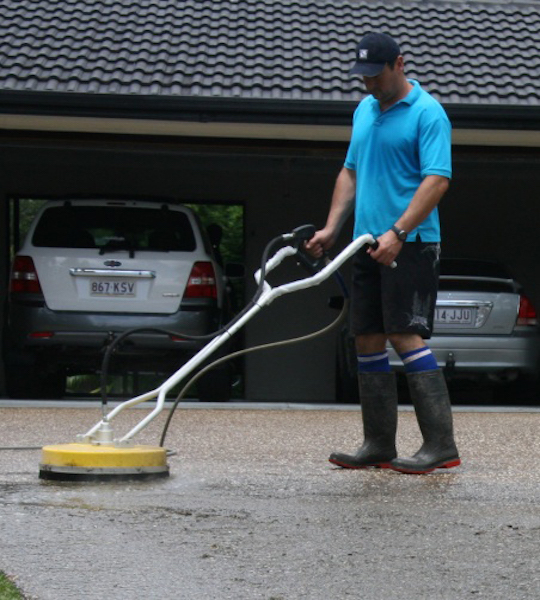 Aqua Attack Pressure Cleaning provides a wide range of pressure cleaning services to the Gold Coast, Hinterland, Northern NSW and South Brisbane. I pride myself on customer satisfaction with a prompt response, thorough service and competitive pricing. The high quality, recently upgraded equipment caters for pressure cleaning of all surfaces with pressure adjustment capabilities, detergent injection and the rotary head attachment results in a swirl-free finish every time. Aqua Attack is a local Gold Coast business, own and operated by myself. As repeat business is my aim, I aim to please, every time. 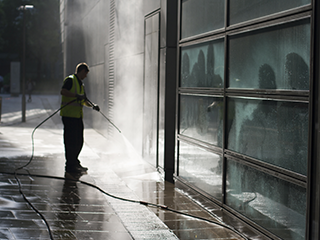 Hope that our high pressure cleaning services can help get your property sparkling. Check out some of our previous work. You'll see it really does make a massive difference. Paul and his team came over and cleaned up some bricks on my property which hadn’t been cleaned in 60 years! The result was fantastic and so satisfying to see the end product. The team were professional to deal with from end to end. I didn’t realise what a difference pressure cleaning would make to the pebblecrete around our pool, entertaining area and driveway. Paul did a fantastic job, the difference is like night and day! 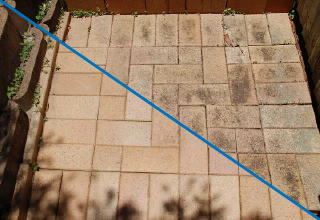 My driveway and outdoor tiled areas were looking mouldy and tired. Aqua Attack did a great job pressure cleaning the stains away. My home looks great again! All done with courtesy and care. 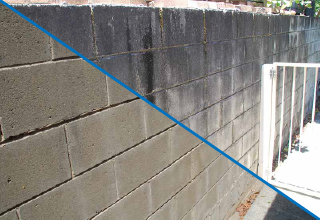 The body corporate agreed to pressure clean the driveway, paths and retaining walls at the block of units where I live. I thought the cost would be very expensive given the massive area to be cleaned. We were pleasantly surprised how reasonable Paul’s quote was and even happier with the end result. Aqua Attack were punctual, efficient and the attention to detail on such a large job was fantastic!